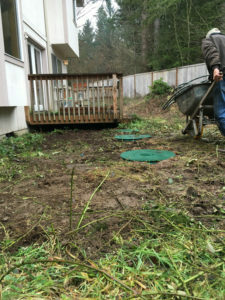 Homes and commercial properties that have septic systems must regularly receive septic tank pumping to keep their system running correctly. VAC-TEC LLC. LLC is a Fox Island, WA, company that has been providing this service to area property owners for many years. 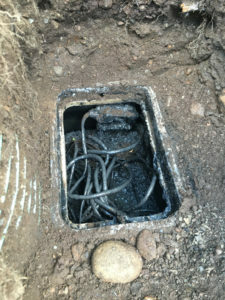 Our skilled and experienced technicians are knowledgeable and understand the latest techniques for septic pumping. They will handle the job quickly and efficiently, doing it correctly the first time with minimal disturbance to you or your business. Septic tank cleaning is essential to keeping a septic system running correctly. Septic tank pumping should be done every three to five years, depending on the size of the system. Clogged septic tanks lead to several problems which can turn into costly repairs needed for your system. Understanding the problem, the system has is the first step. After conducting a septic inspection, our technicians discuss the options to correct the problems with you and provide an estimate of costs. They will then proceed to correct the problems quickly and efficiently and with minimal disturbance to your property. All our work is completed following the local and state codes overseeing septic system pumping and repairs. Why Should Fox Island Residents Choose Us for Septic Pumping? We are able to meet your septic pumping needs, quickly and efficiently with minimum disruption to your everyday life on Fox Island. If you are facing septic tank issues, we offer an emergency service, available 24 hours a day, seven days a week. By using the latest equipment and methods, we complete the septic pumping job quickly and to your satisfaction. 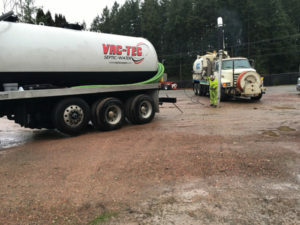 If you have been experiencing problems with your septic system and you are looking for septic tank cleaning experts that work with Fox Island residents, call VAC-TEC LLC. at Tacoma – (253) 777-4887 Seattle – (206) 339-0039 Olympia – (360) 338-6686 North Dakota – (701) 566-0045.